We both love pizza and this is a quick and easy one. 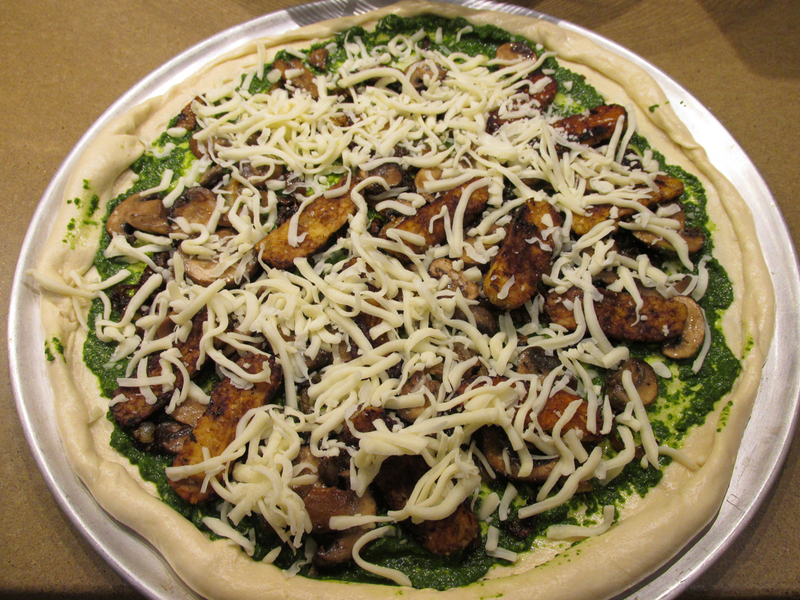 You can use any toppings but we try to avoid getting too many as it makes the crust soggy. Roasted veggies are good with this also. The Tempeh was not something I embraced at first but now I like the “meat” texture it adds. I use either a pizza pan or a pizza stone for this. 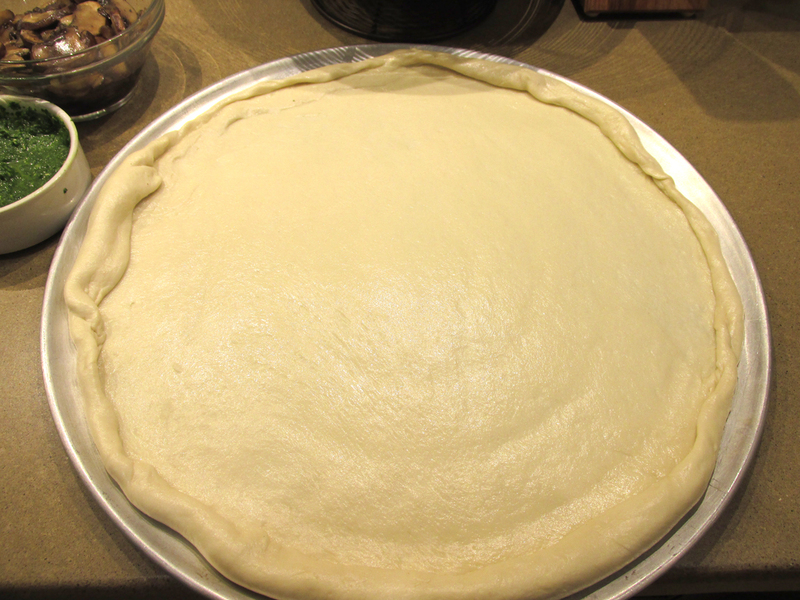 Pizza dough – Make your own or use a refrigerated dough. Trader Joe’s makes a good one. I included a recipe I have used at the bottom by bobby Flay. If using Tempeh (my husband loves this) I slice the tempeh and cook it in a little olive oil and soy sauce until golden brown. 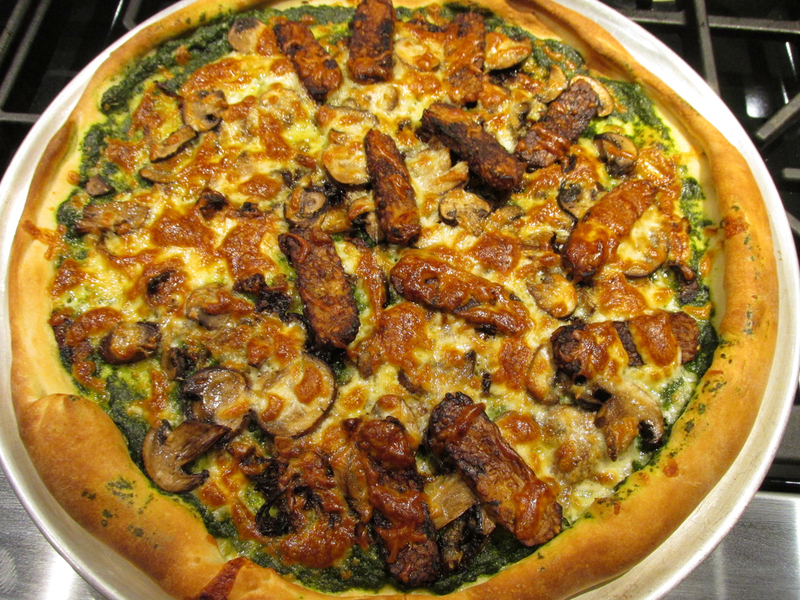 Spread the Spinach Pesto to cover crust. 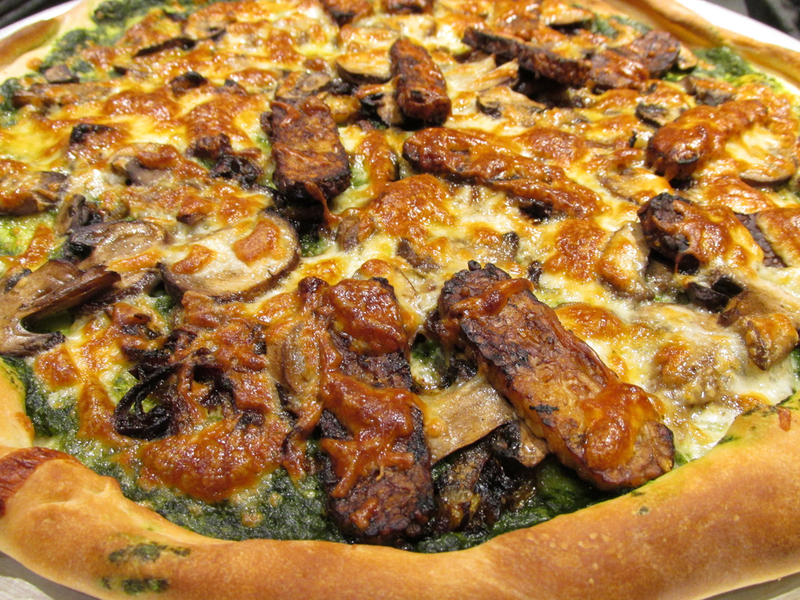 top with onions, mushrooms, tempeh and mozzarella.